There’s a lot going on at the library this month. December 9 – Saturday – 6:00 p.m.: Evening at the Movies. We will be showing a Christmas Classic. This event is for adults only. We’ll provide the popcorn, you bring your favorite drink. December 12 – Tuesday – 10:00 a.m.: Book Chat. Join us for coffee/tea/snacks and talk about the book (any book) you’ve just finished reading. 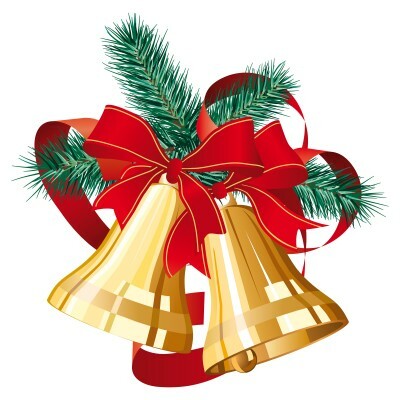 December 15 – Friday – 2:00 p.m. to 4:00 p.m.: After School Craft Day. This will be a Make & Take Christmas Craft. For ages K-6. December 19 – Tuesday – 10:00 a.m.: Story Time for ages 1-5. December 21: Thursday – 2:00 p.m. to 4:00 p.m.: Kids Christmas Movie. Join us for a magical train ride to the North Pole. For all ages – children age 5 and under must have an adult attend with them. We will be closing for Christmas December 23-25 and for New Year’s December 30-January 1. We will be open for regular hours on January 2.